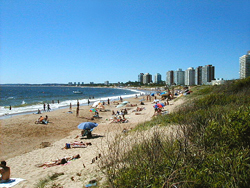 The Mansa zone or Mansa beach, belongs to the Punta del Este locality. If the beach is taken into account, its coast limit is determined by the course of the Claudio Williman ravine, that is, it starts at stop 1 and ends at stop 25. The upper limit to the east is Av. Roosevelt. Within this area is part of the La Pastora neighborhood of Av. 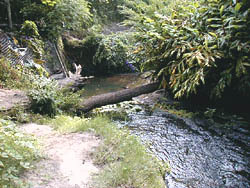 Francia towards the coast and the neighborhoods of Pine Beach, Marconi, El Grillo, Viejo Cantegril and then, arriving at the end of the ravine, Las Delicias. 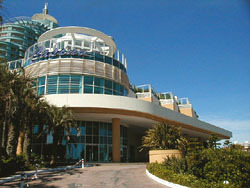 At the beginning it is an area of tower buildings and a commercial center of La Pastora and the commercial center of Pedragosa Sierra Avenue. From stop 8, it becomes a residential area in the style of a garden district, with low buildings up to four floors, streets with harmonious curves and avenues that cross from west to east from the Claudio Williman ravine to Roosevelt Avenue.